Bolton Had Pentagon Draw Up "Far-Reaching Military Options To Strike Iran"
The Wall Street Journal published an Iran bombshell Sunday morning, confirming the White House had the Pentagon prepare "military options" to strike the country last year. The sudden request, seen as an unprecedented Iraq-style "shock and awe" attack on Iran, caught the Pentagon off guard, to the point that "State Dept. and Pentagon officials were rattled by the request" which officials further told the WSJ was "mind-boggling" and "cavalier" in terms of how brazen it was. The request for military options came in early September after the United States accused Iran-backed militias in Iraq of firing three mortars at the US Embassy and diplomatic compound in Baghdad, and at a time that riots and political instability were spreading throughout some major cities in Iraq, especially in the south. 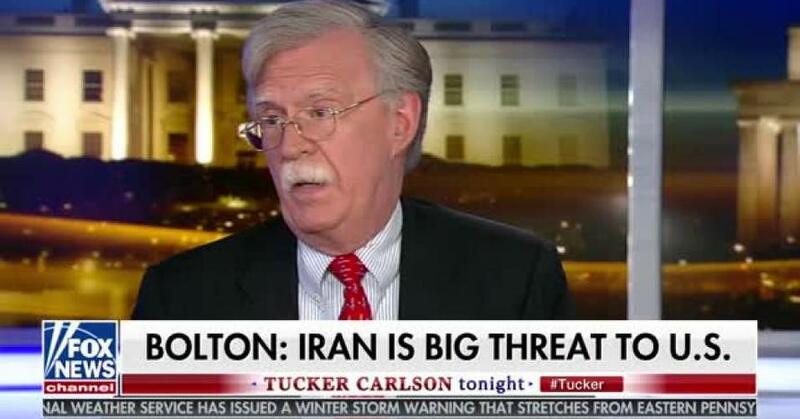 It was also an opportunity for noted Iran hawk and national security advisor John Bolton to push for "far-reaching military options to strike Iran" — a regime change project he's pushed in public many years prior to taking his White House post last April. 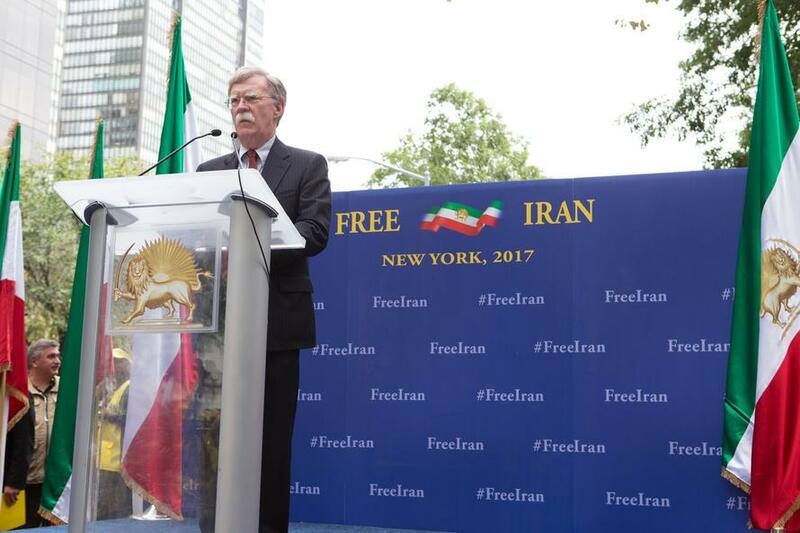 Prior to entering the Trump White House, John Bolton was a frequent keynote speaker at Iranian opposition MEK-sponsored events. Though it's unclear if the strike options ended up on President Trump's desk following the formal request from the National Security Council, or if they were ever seriously considered by the White House, “It definitely rattled people,” one former senior U.S. administration official described. “People were shocked. It was mind-boggling how cavalier they were about hitting Iran,” the source said. The WSJ report confirms through admin officials that Bolton has, alongside Secretary of State Mike Pompeo, stuck by his prior public stance of seeking regime change in Tehran, even though Bolton has also acknowledged regime change in Tehran is not part of the president's agenda. In talks with other administration officials, Mr. Bolton has made it clear that he personally supports regime change in Iran, a position he aggressively championed before joining the Trump administration, according to people familiar with the discussions. Notably the plans for "military options" requested of the Pentagon included strategies for striking Syria as well. In the months following September, just prior to Trump's announced US troops pullout of Syria, the State Department and Pentagon began articulating the US mission in Syria as to "counter Iran" now that ISIS forces had been largely defeated. Perhaps knowing that Trump was leaning toward an eventual full Syria exit, Iran hawks within his own administration were possibly going "rogue" — as Bolton himself has recently been accused of. Alongside the requests in regards to Iran, the National Security Council asked the Pentagon to provide the White House with options to respond with strikes in Iraq and Syria as well, according to people familiar with the talks. In one meeting, Ms. Ricardel described the attacks in Iraq as “an act of war” and said the U.S. had to respond decisively, according to one person familiar with the meeting. Following the Sept. 6 mortar attack on the embassy by unknown militants, but which US officials described as Iran-backed groups, the White House issued an official statement on Sept. 11 that appeared to warn of a possible military action: “The United States will hold the regime in Tehran accountable for any attack that results in injury to our personnel or damage to United States government facilities,” the White House said. And as recently as this month, administration officials led by Pompeo have accused Iran of using its space satellite launch program to shield a developing nuclear ballistic missile program. The WSJ described the embassy mortar attack incident as eliciting little coverage in international and US media. Given this, and that it took place in Iraq, yet was still enough for the NSC under Bolton to draw up major military strike plans on Iran, it seems clear that the hawks in the administration are ready to launch the next big regime change war on the smallest provocation. Might Iran be proven to be behind a more direct attack on American assets abroad (as opposed to accusations against alleged proxies), could the "strike options" fast be put into effect?